Yuki Yoshimura is the Director of the Japanese Language Program and the Co-Chair of the Language Teaching & Research Lab. She received her PhD in Second Language Acquisition from Carnegie Mellon University. Her research interests include sentence processing in second language acquisition, speech fluency, task-based language teaching, extensive reading in Japanese, and bilingualism. She teaches Japanese Language (1st year to graduate level), Japanese Linguistics, Teaching Japanese as a Foreign Language, and Extensive Reading in Japanese. Some recent articles with B. MacWhinney include “The use of pronominal case in English sentence interpretation," “Honorifics as a socio-cultural verb agreement cue in Japanese," and “The effect of oral repetition in L2 Speech Fluency: System for an experimental tool and a language tutor." 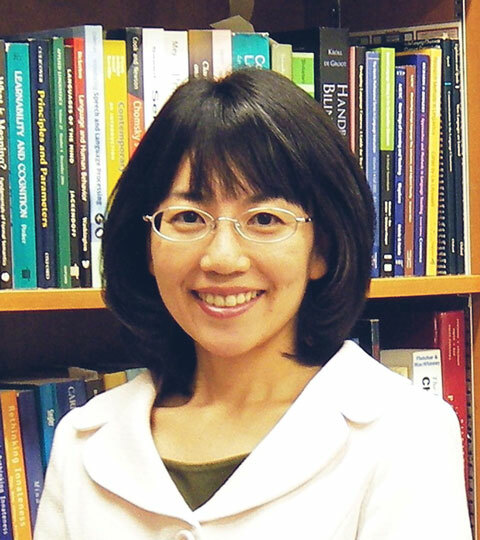 To learn more about Prof. Yoshimura's work, please visit her webpage.